We asked Rich from The Hanging Stars to put together a small guide to Nashville for us mere mortals who have never been to the Country Music Capital of the World. Rich from cosmic-country psychers The Hanging Stars recently paid a visit to the historic city of Nashville, where he hung out with the wonderful people from Jack White's Third Man Records. 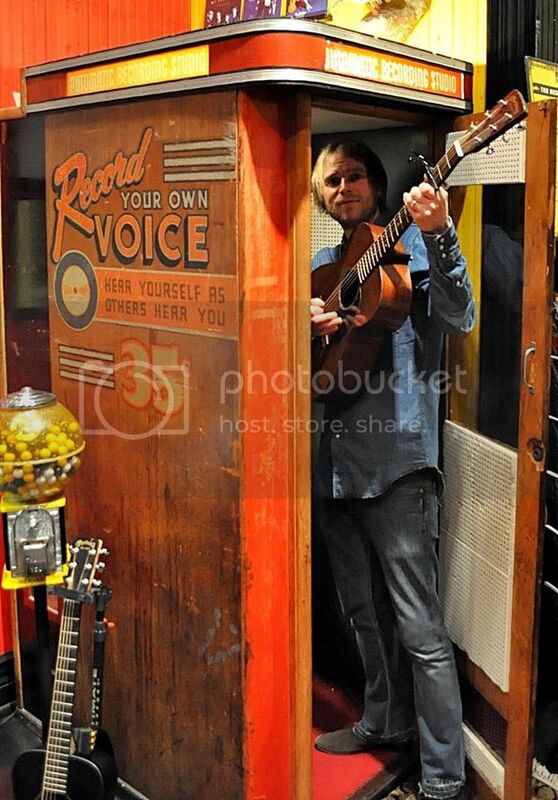 He even recorded a song in their vintage booth -- you know the one: you pop in, play a song, and a record comes right out like a photo-maton. With that in mind, we asked him to put together a small guide to to the Country Music Capital of the World. We're also premiering a new track from the band, 'Floodbound', which you can hear below. Someone said that Nashville is the new Laurel Canyon. I don't know about that, but there is definitely an air of special energy in this town at the moment. It's changed massively in just the three years since I last visited my friends here. This time I was in town to see them again and to do some recording with the excellent producer Jeremy Ferguson who runs Battle Tape Studios (Be Your Own Pet, Paperhead, Lambchop amongst others). For a town built on Bible printing (and bashing I'm sure) and a long lived insurance industry, it's remarkably progressive and open minded for somewhere so traditionally conservative. But for all the anti-abortion billboards on the highways and backward thinking chalk written scribbles on Honky Tonk Lane (a.k.a Broadway), there is a very uniquely American, youthful, vibrant, entrepreneurial feel to it. The old dive bars are full of people of all ages who make films, poetry, art, magazines but mainly music. And everywhere new coffee bars, galleries, studios and restaurants are popping up. Heard this before? Yep, it's gentrification in full swing. Alongside all the positive energy that's been bubbling for the last few years more condos, prefab houses and hotels are being built. Property prices are going mad and local people are slowly being forced out by people flooding in from all coasts looking for exactly the thing that is disappearing slowly due to high prices. But as the cycle of that dreaded word turns, there is always that time, five to midnight, when things are aligned in that magic way. Simply put; Nashville is a brilliant town right now. Small enough to get from one side to the other in 20 minutes and large enough to sustain a bunch of people doing what they love. At least for the time being. And brimming with music. And it's not just country; from the excellent psych of the Paperhead and Sunseeker to the Fahey Folk of William Tyler, the slacker southern rock of Promised Land to the pin up country of Nikki Lane. 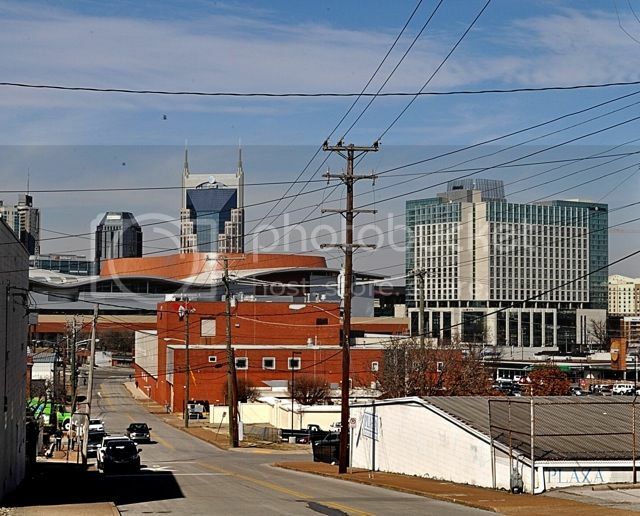 I am by no means an expert on Nashville, Tennessee. But my friends are. And through their guidance I'll try to introduce a few gems below. I'm an old fashioned kinda guy and love country and bluegrass music. Obviously, there's a lot of it here. More than you can shake a stick at in fact. Sadly a lot of it is now sporting a baseball cap on backwards. A 5 minute ride from Broadway is Third Man records HQ. Jack White's label is instrumental in changing the face of Nashville and it's good fun to pop by the Third Man shop where there's always good music to be bought, novelty 45 adaptors to purchase or look at a Third Man monkey playing the latest Third Man releases in a jukebox. You can also enter the Voice- O- Graph. A vintage recording booth where you get 2 minutes to either, as originally intended, record a greeting to your loved ones back home or, as I did (and err, Neil Young did also), record a tune or two. After your two minutes is up a vinyl record pops out, like an audio polaroid of sorts and you end up sounding like Charley Patton in 1927, or like you had too much to drink. Or both. East Nashville is the epitome of the new "hipster" Nashville. Don't let that scare you as much as it scared me. There are still some amazing places to go to. And whilst it is indeed being taken over by MacBook Pro waving beards, high on Ethiopian Nekesse bean coffee there's still some great bars and venues. Foo Bar does shows most nights it seems and is pretty much is exactly what you want from a bar in America, complete with pool table and ashtrays since you can actually still smoke in here. Mickey's does the same thing just as good, bar the bands and with darts instead of pool. Food is a plenty and as long as you stay away from the grease of the Shoneys and Wendys you really can't go wrong. 5 Points Pizza is greasy but heavenly. And to wash away the beer and the bourbon, just head to Turnip Truck and revel in their juices. 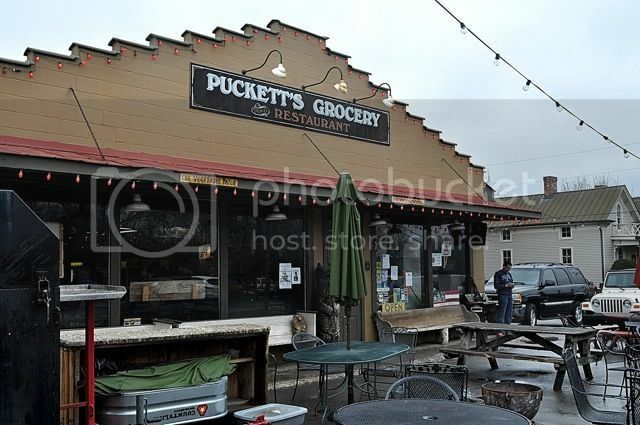 If you fancy something more bucolic, head 40 mins south out to Leipers Fork and the brilliant Pucketts Grocery. On their Thursday open mike night you never know who might turn up, Tony Joe White popped in when we were there. Their fried chicken and pulled pork is great. 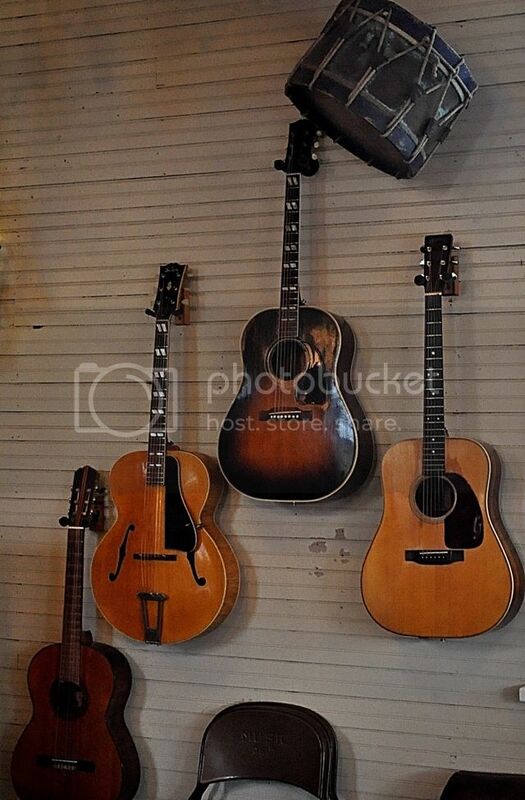 In the antique shop across the road you can try the 1920's Martin guitars they have lying about. For a more contemporary take on music, The Stone Fox in West Nashville is an excellent venue and restaurant that marries old and new Nashville in a perfect harmony with some added (nowadays unavoidable) great craft ale. I caught Sunseeker looking and sounding like a bunch of 17-year-old psychedelic Nashville lords from Cambridge in 1966. Stay tuned for more from them. All in all you can't really go wrong in Nashville at the moment and just like anywhere, avoid the frat boys, the reversed baseball caps, the naked torsos and the chain restaurants - and you're on to a winner.